Because boglands are acidic, poor in minerals and waterlogged you would imagine little would grow or little life would be sustained, but Clara Bog supports a totally unique and bewildering eco-system. Clara is home to a unique combination of species, and although it does not have as much biodiversity as a tropical rain forest, they are just as – if not more – important. And like the once great rain forests of South America and Asia, they are also under threat, perhaps even more so. 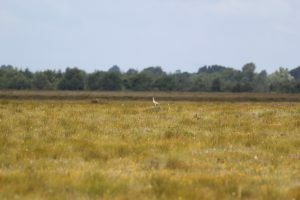 The main building block of Clara (and every other bog) is sphagnum moss, and there are outstanding lawns and other examples which contribute to the overall ecosystem functioning of Clara. There is also a type that had previously been though extinct flourishing on Clara. The bog is split into Clara East and East. Clara West has quite extensive areas of wet, central vegetation with permanent pools, typically with high moss cover (Sphagnum cuspidatum and S. magellanicum), Rhynchospora alba and Eriophorum angustifolium. Lawns commonly consist of bog mosses such as Sphagnum papillosum or occasionally S. capillifolium with Drosera rotundifolia, Erica tetralix, and Trichophorum germanicum. Hummocks are formed by Sphagnum capillifolium or less frequently S. austinii with Calluna vulgaris, Andromeda polifolia, Eriophorum angustifolium and Eriophorum vaginatum. 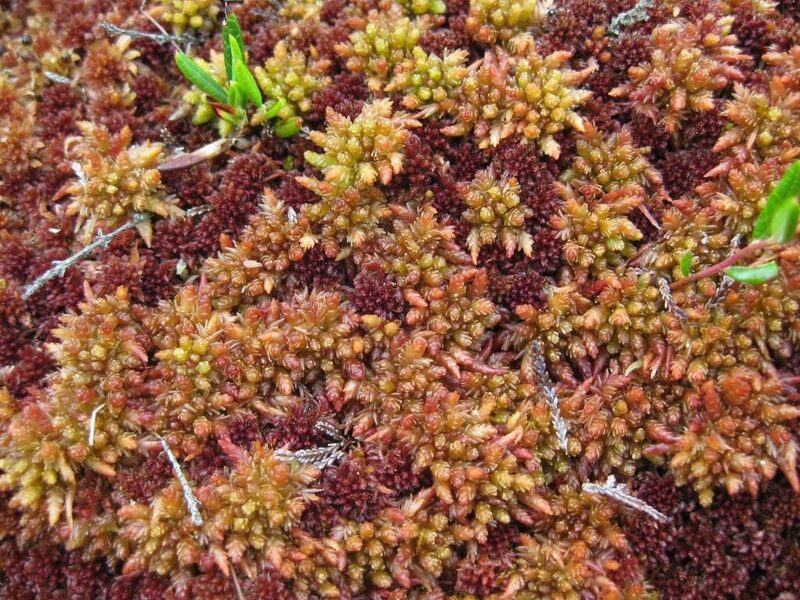 On drier areas of the high bog the Sphagnum presence is reduced (the acrotelm is less intact), Calluna vulgaris becomes more dominant and Narthecium ossifragum and Trichophorum germanicum are more frequent. Clara East has dried out more than Clara West and so the drier communities on the high bog described above are more typical of the vegetation, though a small area of wet central vegetation is found in the south. Some pool features in the north-east of the bog are thought to be man-made features, created over a century ago to attract wildfowl. The presence of well-developed soaks in the ARB habitat is one of the most significant features of this bog. Lough Roe soak has a wet central area with a floating raft of vegetation and a remnant of open water. Early maps record a much larger lake here in the past. Species present include the bryophytes Riccardia multifida and Aneura pinguis (both indicators of base enrichment), Nuphar lutea, Carex rostrata, Drepanocladus fluitans (a moss), and Menyanthes trifoliata. This is surrounded by a drier band of vegetation with Vaccinium oxycoccos (cranberry), Calluna vulgaris (ling heather), and mosses including Aulacomnium palustre, Sphagnum fallax, and S. palustre. The vegetation continues to grade in bands through communities suggesting enrichment (indicated by presence of Calliergonella cuspidata) to ombrotrophic high bog vegetation. The smaller soaks on Clara East (west and south of Lough Roe) has similar vegetation but no open water. The Shanley’s Lough soak has a central area of open water surrounded by extensive Sphagnum cuspidatum lawns with much Carex rostrata, Hydrocotyle vulgaris, Vaccinium oxycoccos, and Menyanthes trifoliata. At the southern edge of the open water a small area with Juncus effusus and some Betula pubescens occurs. Elsewhere the vegetation is dominated by Molinia caerulea and Myrica gale and other soaks on Clara West have similar communities. For further details see Kelly (1993), Crushell (2008) and Fernandez & Wilson (2009). Bog woodland is found in the vicinity of the soak systems on the high bog. The rare moss, Tetraplodon angustatus, was previously recorded at the site, its only known Irish station. 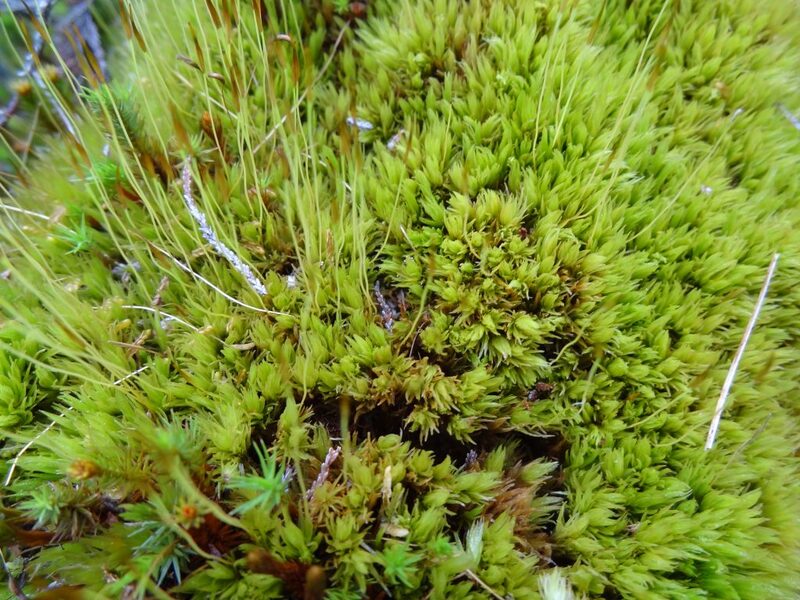 This moss is found growing on the scats of carnivores (usually fox), often perched on rocks or mounds of moss in scree and by paths (Atherton et al. 2010). The species was last recorded from the bog in 1988. • White sedge (Carex curta), rare in the south and west of the country, has been recorded in the western part of Lough Roe (Kelly 1993; Crushell 2008). • Slender tufted sedge (Carex acuta), has only 13 post-1949 10 km records in Ireland. It was recorded by Kelly (Kelly & Schouten 2002) growing in a remnant lagg zone at the north-eastern margin of the bog. 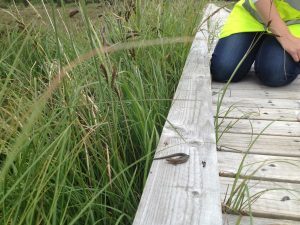 The common frog (Rana temporaria) and the common lizard (Lacerta vivipara), are both known to occur on Clara Bog. 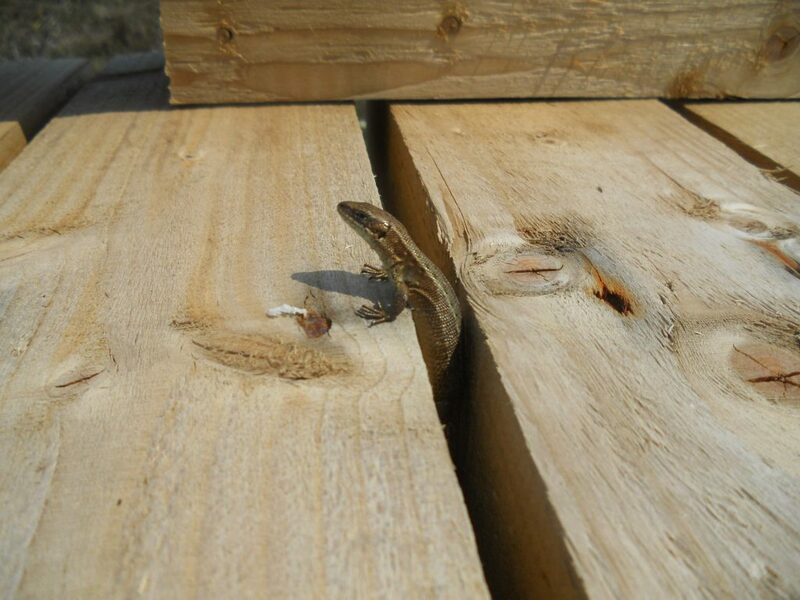 Visitors to the boardwalk on the bog have often seen lizards pop out from beneath the boards on a hot day. Smooth newt (Lissotriton vulgaris) – a species not typically associated with raised bogs – has also been reported from soaks and water bodies on Clara Bog (Crushell et al. 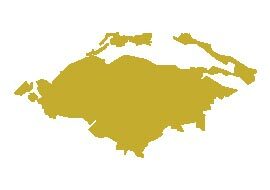 2008a). The only mammal recorded from the high bog is Irish hare (Lepus timidus hibernicus). Mammal species that have been recorded from marginal areas (and watercourses) surrounding the bog include badger (Meles meles), otter (Lutra lutra), stoat (Mustela erminea hibernica), red fox (Vulpes vulpes), and pine marten (Martes martes). Many studies have been carried out on Clara Bog regarding our feathered friends. 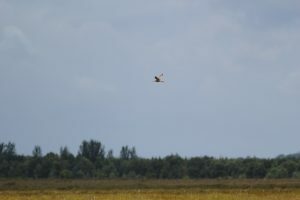 Among them, Dispersion patterns and habitat relationship of breeding bird species (Pohler 1996) and a 2008 study on bird communities of peatlands (Bracken et al.) have recorded six species breeding on the bog during 2006 including; mallard (Anas platyrhynchos), common snipe (Gallinago gallinago), curlew (Numenius arquata), hooded crow (Corvus cornix), skylark (Alauda arvensis) and meadow pipit (Anthus pratensis). Red grouse (Lagopus lagopus) was previously reported from Clara Bog but have not been recorded since the 1980s. The curlew was once synonymous with raised bogs but is as rare as Red Grouse these days. 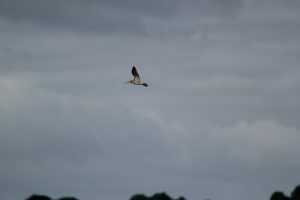 Breeding curlew (Numenius arquata) were recorded on Clara Bog during the last national survey, in 2014 (NPWS unpublished data), and again by NPWS staff and Clara Visitor Centre staff in 2016 and 2017. In the interests of their conservation, and out of respect for the breeding pairs observed, we will not give their location. Below are a series of pictures taken in the summer of 2016 by then Clara Education Officer Therese Kelly. The terrestrial and aquatic invertebrate fauna of Clara Bog has been relatively well documented (Reynolds 1984a; Reynolds 1984b; Reynolds 1985; Wisdom & Bolger 2011; Hannigan & Kelly-Quinn 2011; Crushell et al. 2008a). • Ilybius chalconatus (a water beetle) (Renou-Wilson et al. 2011), is listed as vulnerable in recent red list (Foster et al. 2009). 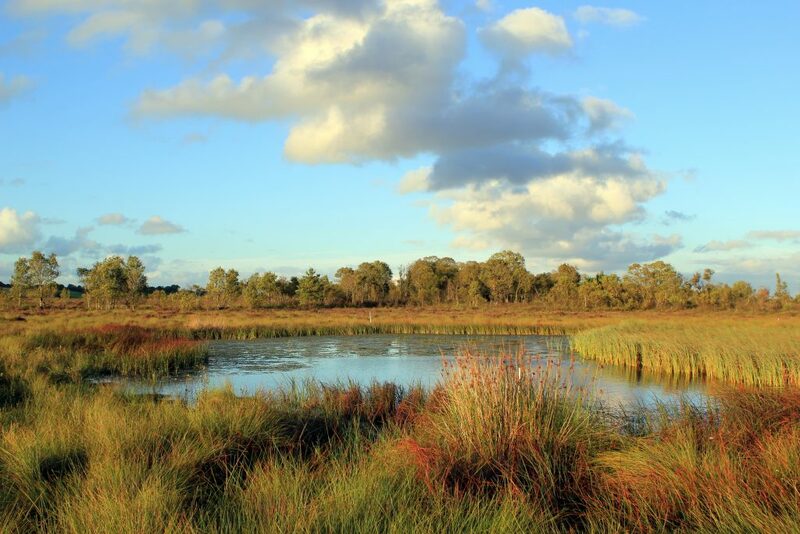 We are currently undertaking full monitoring surveys on Clara Bog. Previous surveys which informed the LIFE project took place in 1993 by Kelly et al. ; 2004 by Fernandez et al; and 2009 by Fernandez et al.